Patsy and John Ramsey. Image via AP. 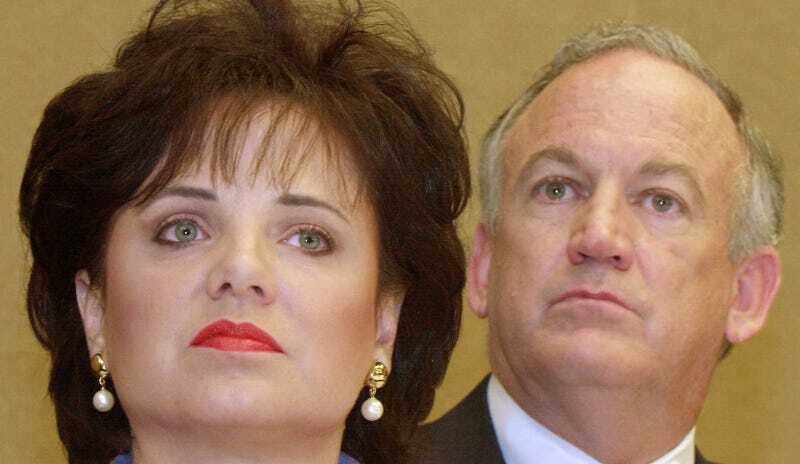 CBS’s The Case of: JonBenét Ramsey was remarkable in that its team of investigators outright stated that they believed the six-year-old died at the hands of her then-nine-year-old brother Burke. Though a screen at the end of the series emphasized that the crime is yet unsolved and its investigators were simply opining, it seemed likely that a lawsuit would land eventually. Not two days later, here we are. L. Lin Wood, the Ramseys’ Atlanta-based lawyer, told Reuters that he will be filing a suit on Burke’s behalf, and that CBS’s “lies, misrepresentations, distortions and omissions” were “false and unprofessional attacks” that were “disgusting and revolting.” Burke Ramsey, who is now 29, has been the subject of but one of the many theories surrounding JonBenét’s death, but none of those theories has ever been proven in court, and Burke has categorically denied his involvement, most recently on a broadcast with Dr. Phil. CBS’s conclusion came from trained criminal profilers who recreated the scene of the crime in a warehouse in the interest of trying to solve the case, but they had no official or legal involvement in it.